Are you a big fan of pop and rock music? Eager to find something to listen to together with kids? It’s not easy to find the right type of music that suits all the family members: Rock n’ Roll is often seen as “too cool for kids” while children’s songs are often too childish for parents to enjoy. 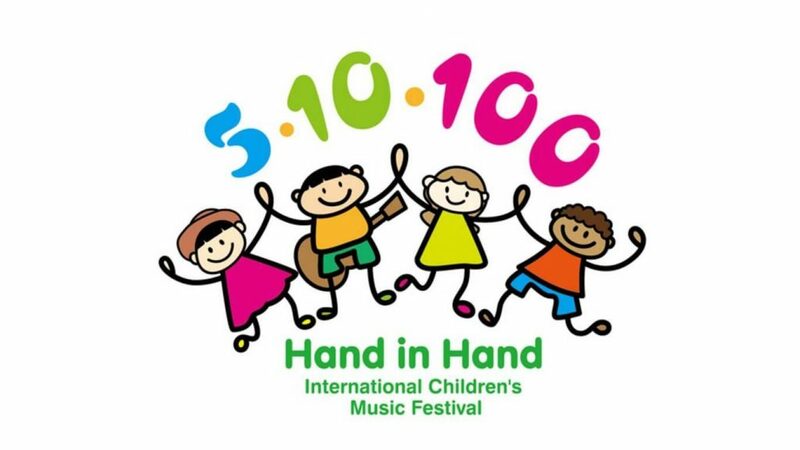 “Hand in Hand children’s music festival” is the right place to go for Rock N Roll music suited for families! 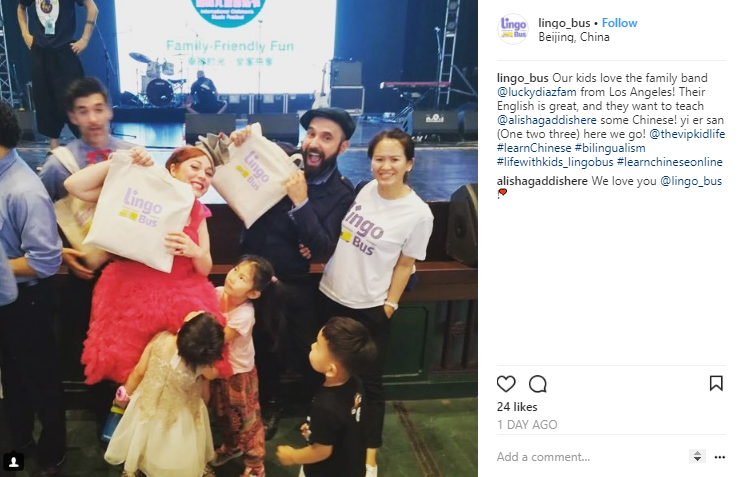 Some Lingo Bus parents decided to give the festival a try last weekend and ended up enjoying an excellent live show with their kids! Read some tips for Learning Chinese from Lingo Bus Teacher, Helen Zhang! If you read our last Friday’s blog, you would know that June 1st was Children’s Day in China. 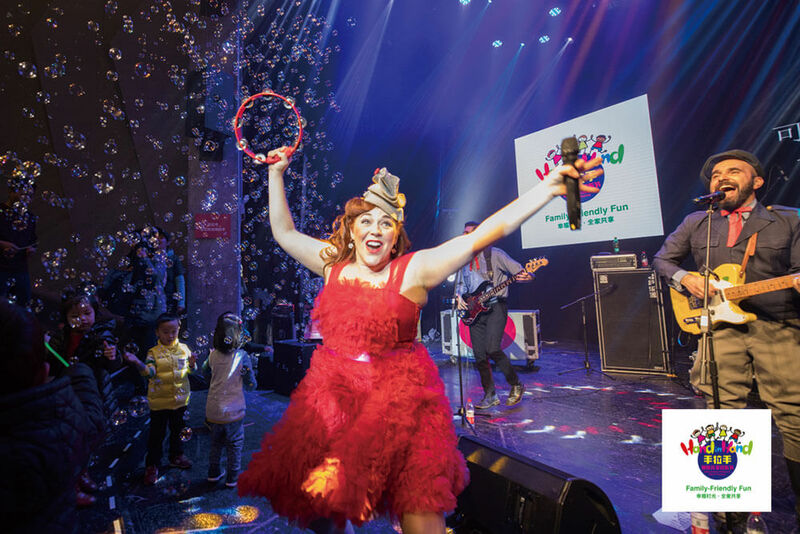 “The Hand in Hand Children’s Music Festival” was held in Beijing last Sunday as a part of the celebration of a fun festival for children! Our music-loving parents from Lingo Bus and their kids went to join this cool music festival. It was a really fun event! As China’s first international family music festival, Hand in Hand International Children’s Festival was created by American Journalist Rebecca Kanthor and her Husband Liu Jian, a Chinese musician and author, to allow parents and their kids to enjoy live music from all over the world and experience different cultures through music. 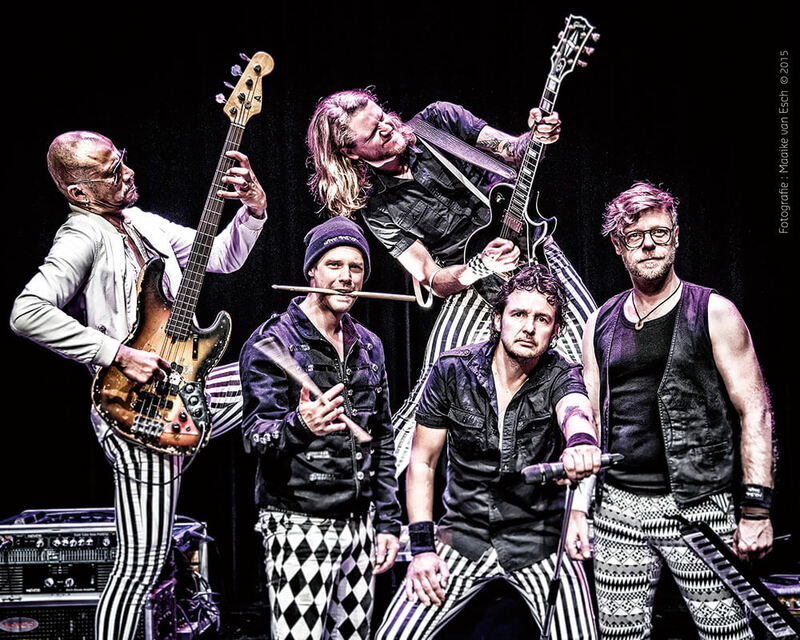 Another Band, Hippe Gasten, is a rock n roll band for kids! They are enthusiastic about creating and playing music that creates great memories for the kids who come to their shows. Their show has been the first Rock N Roll Experience for many young children. Kids get the chance to get on the stage and to sing and play with them. It is really exciting! People often hold the stereotype that kid’s music is either boring or too simplistic. But actually, kids are more sophisticated and they can appreciate good music! The two bands performed at the festival are really cool and inspiring. They play music for kids with real passion, which make the music both beautiful and cool! Their lyrics are also really meaningful for parents and kids. Here are some good pictures we took together! After the show, we had a great talk with members of the two bands. We exchanged ideas on our love for our children and shared ideas on meaningful topics like education and culture. There is a lot we share in common, the biggest one is that both music and language can be bridges in connecting people together. Both of us believe in the power of connecting and the importance of teaching and encouraging children to communicate. This can lead to a better world with fewer barriers and more mobility. Just as Mrs. Kanthor said in the other interview, there are many benefits of introducing children to pop and rock music at an early age. “Rock music is super accessible for kids because they don’t have to sit still; they can move their bodies to the sounds.” Sharing topics attractive to kids, like peanut butter and jelly, and air guitar through music is a good way to get them interested in learning to play an instrument. Rock music is also inspiring to hear. It can encourage kids to follow their heart and pursue their own dreams. Indeed, all kids should be able to do things that they find interesting and are passionate about. Either learning a new instrument, appreciating good music, or learning a new language and being able to make more friends! 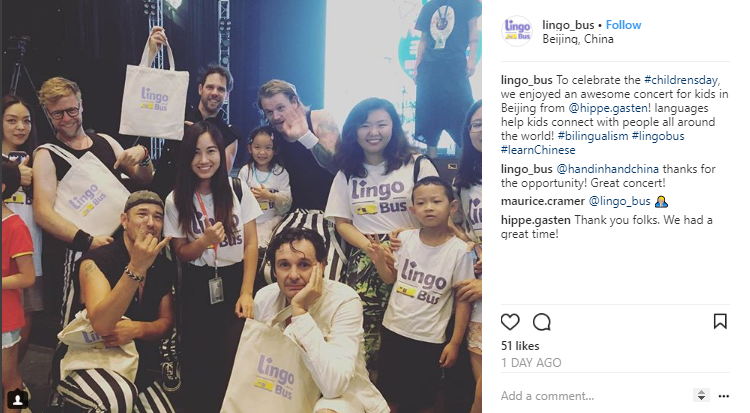 Here at Lingo Bus, we are dedicated to creating the best immersion classes based on Chinese language and culture that can help open a new window of opportunities to our students.